ANAROCK Property Consultants are knowledge partners at the CII Real Estate Confluence 2019 to be held on Friday, 15 March in Mumbai. Nairobi, 10 March 2019: India’s leading real estate agency ANAROCK has partnered with Satguru Group for an event to promote investment into Indian real estate by Kenya-based NRIs. This feature-rich event will be held on Sunday, 10th February 2019 in Nairobi. During the event captioned as ‘Karmbhoomi Se Janambhoomi’, ANAROCK and Satguru Group will showcase attending NRIs with some of the best investment opportunities in India real estate. The spread of options will encompass all housing formats from apartments and villas to townhouses in both the affordable and premium segments. 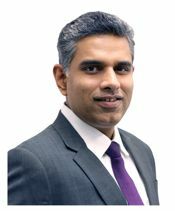 Shajai Jacob, CEO – GCC, ANAROCK Property Consultants says, “While there is a constant discussion revolving around NRIs from the Gulf, US, UK and Europe, Kenya-based Indians do not seem to appear on anyone’s radar. This is surprising, given that Kenya-based Indians – though only about 1% of the country’s population, are actually heavily involved in Kenya’s economy. In fact, Indians in Kenya contribute substantially in most of the sectors driving Kenya’s economy and operate countless small and large business enterprises in all of Kenya’s major geographies. New Delhi, 01 March 2019: In line with its aim to enter the USD 5 trillion club economy by 2025 – which is highly dependent on real estate and infrastructure – the Government has taken a multi-modal approach towards infrastructure development in the country over the last five years. Besides boosting the overall economy, this ‘infrastructure first’ approach is also steering real estate growth across India, finds the report ‘Infrastructure and Real Estate – A Fulcrum for Change and Economic Growth‘ by ANAROCK Property Consultants and Association of Infrastructure Industry (India). The report was released at the Infrastructure Summit 2019, organized by the Association of Infrastructure Industry (India) in Delhi today. Mumbai, 27th February 2019: ANAROCK today announced the successful closure of 300 exclusive mandates to market residential projects across India and in the Gulf. The cumulative market value of the inventory sold to date exceeds INR 22,000 Cr. Mumbai, 25 February 2019: Responding to burgeoning consumerism in India, mall developers are rapidly infusing new retail developments across the top 7 cities, with nearly 10 mn. sq. ft. new mall supply in 2019. Factoring in the rollover of some supply from 2018, there will be a three-fold jump in 2019 against the preceding year. These and other critical insights are outlined in the research report ‘Customer Experience (CX): The Epicentre of Retailing’ by ANAROCK Property Consultants, released at the Retail Leadership Summit (RLS) 2019 in Mumbai today. New Delhi, 22 February 2019: Sustainable and eco-friendly façade developments focused on energy conservation and reduced dependency on fossil fuels are the new imperative of the rapidly-growing façade and fenestration industry, states ANAROCK’s Fenestration Industry Report. The report, in association with World of Fenestration, was released at the World of Fenestration 2019 event in New Delhi today. “The quest for creating iconic office structures plays heavily on façades and fenestration to evoke a modern aesthetic ethos.